AboutAcura: 2009 Acura TSX or TL? Acura front-end styling cues pioneered on the TL and TSX, but to an even more dramatic degree. 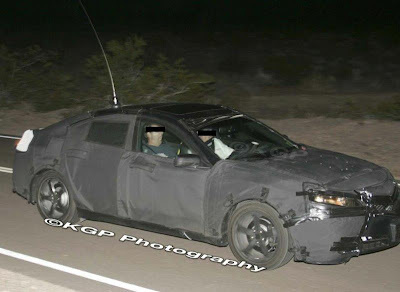 Acura’s pointed grille now plunges well down into the front bumper, and the slitty headlights follow a similar angle, looking quite sinister in their execution. 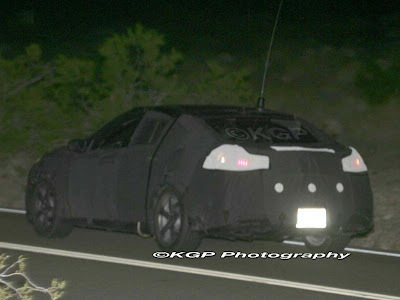 The way the camouflage is piled-on above the Acura’s mesh grille, we wonder if this new sedan will get a variation of the “shield” found on the latest MDX. 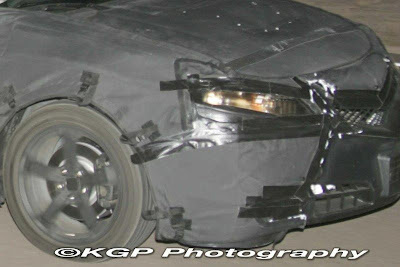 The prototype’s lower air-intakes resemble those on the TL, but once again they look a bit more aggressive. 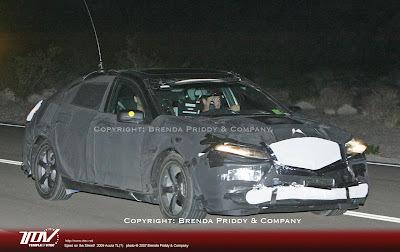 A lot of people are speculating that it's actually the Sports4, which most likely will be the next TSX. They're commenting on headroom, car length, grill, and front bumper. My first initial reaction was it looked very Maxima-ish.